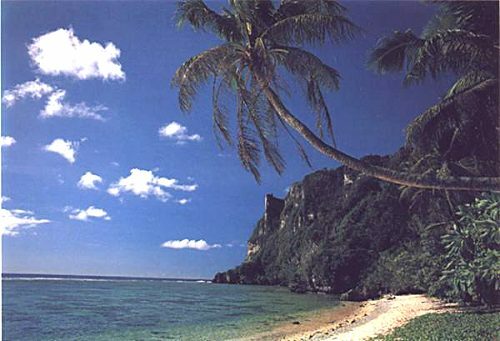 I arrived in Guam, 10 January 1998. I was expecting to arrive to a FEMA certified disaster area. Typhoon Paka passed through just three weeks earlier, but instead I found most everything was cleaned up and I was living in a place that resembled Waikiki, Hawaii. Shown here is Tumon Bay with all the high class hotels. This image is a very wide panoramic so please scroll horizontally to see it all.